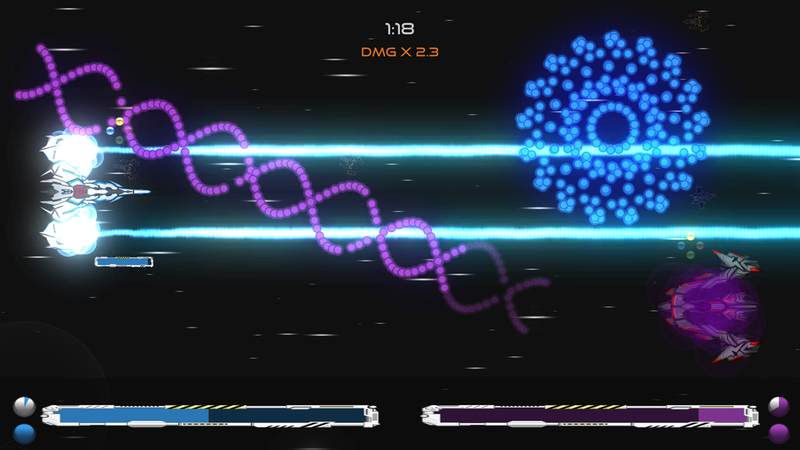 Beautifully Unambiguous Long-Lasting Effervescent Tournament: Humongous Explosions Locked and Loaded is a 2-player competitive bullet-hell game where everyone plays as a final boss character! Your ships are gargantuan, and your weapons are ridiculously overpowered. 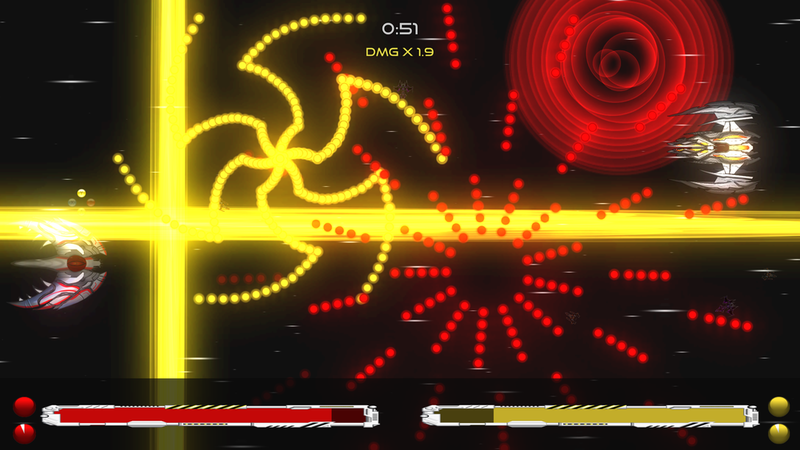 Use your insane firepower to annihilate your opponent before they reduce you to space rubble! Choose from 5 unique ships, each with different weapon loadouts and strategies to achieve victory! B.U.L.L.E.T.H.E.L.L was developed as a student project in a few short weeks, with the help of a teammate. It was later showcased at Indiecade 2016's GameTasting event, and has slowly made incremental progress as a personal pet project. The most recent build currently supports 2 players exclusively. However, efforts are being made to develop AI to support a single-player experience. Despite the numerous hours that have been spent developing the game, very little time and effort was put into coming up with the name. To this day, both of the developers regret and apologize for the the unecessarily long titile that solely exisits to be a forced, unfunny acronym. Rest assured, we are ashamed.